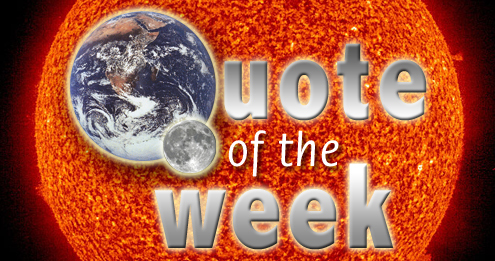 Quote of the week – the 'big' lack of documentation | Watts Up With That? From Andrew Montford, who points out the obvious (at least obvious to everyone else) when it comes to the “big oil” and “big coal” meme. It’s extraordinary how this “massive campaign” by fossil fuel interests has gone almost entirely undocumented. There is, to the best of my knowledge, virtually no evidence to support the claim at all. It is something of an indictment of the standards in academia that this kind of conspiracy theorising goes unremarked and entirely unchallenged. April 29, 2013 in Quote of the Week. “If you’re weak on the facts and strong on the law, pound the law. If you’re weak on the law and strong on the facts, pound the facts. Since when did egocentric, self righteous know-it-alls need evidence? Every “educated” person knows the right point of view to have. Facts are for those miserable peons who have to work for a living and pay the taxes that support our intellectual superiors. Sadly I can not claim sarc on/off. How many times have we heard the mantra, ‘If only you were better educated, you would understand and agree”, with the talking points of the moment. Climatology will be a future civics course on mass insanity and mob conformity, best expressed by Barak Obama; “I have none of the facts, but the Boston Police behaved stupidly”. A perfect example of our education systems willful ignorance of reality. We do not understand what “drivers” cause the weather, but we know CO2 done it. We are losing our PR driven grip on the public, it must be because of someone else’s PR campaign. After all it is inconceivable in academia that private citizens can think for themselves. If our side were well funded and well organized, as warmists charge, it would have the following 22 characteristics–which it doesn’t. – Donate to help keep the http://www.surfacestations.org project going. and Wordpres is a free and open source blogging tool used by WUWT. I rest my case. Now where the heck is my Big Oil Check? Big Gas? Big Coal. Help a man in need guys, come on now. Andrew Montford has made important contributions to the effort to prevent the adoption of ill-considered environmental policies. I found his 2010 book, The Hockey Stick Illusion: Climategate and The Corruption of Science, extremely useful in learning the techniques and methods employed in the study of paleoclimatology. As much as I admire Steve McIntyre’s work, I needed a guide and Montford supplied it. The book is not always easy reading but persistence pays off in the end. If you haven’t already read it, I highly recommend it. It’s ironic isn’t it that having one or two lousy pieces of evidence would be more dangerous to them than having zero?? Same with the cAGW fiasco itself. It sounds to me Lewandoesky should study some of the conspiracy ideation in that article. It’s an abysmally standard piece for Oreskes. I worked at a University for a number of years (near 20?) and it is my sense that this is the normal mode for all but a few of the smelly sciences. Am I the only one who has ever read or read of Alan Sokol? Andrew’s book is invaluable. And on this, the vast right-wing funding machine for climate skepticism, I am unable to tell if my smart phone is shaking as I write this from some turbulence the private jet with which I circle the globe is encountering, or just from laughing. That is superb, brilliant, wonderful! It is by far the funniest thing I have read this year! The sarcastic comment should be “We are really good at hiding the funding”. But on a serious note, even with almost no funding to fight it, the CAGW/Climate Change campaign, despite the blatant support of the main stream media, is beginning to falter. I am afraid they are using theory in the social science sense rather than the hard science sense. Instead of being a hypothesis about reality, it is a theory created to alter people’s view of reality. It is relying on the Radio Project work the Frankfurt School did in the 30s. Repeated about five times from an authoritative source, anything becomes believed. And false beliefs are every bit as influential as true ones. Maybe more so if the lie is designed to inflame passions to take action. I am familiar with the Sokal Hoax and would highly recommend the book Higher Superstition to anyone not familar with the whole episode. And the whistle blowing did not change anything. Except what the theories were calling themselves. That’s $383 million for 8 billion tonnes of CO2. That is equivelent to about 900 gallons of gas, isn’t it? In recent weeks I have had several posters make the claim that Anthony is funded by Heritage foundation. Reality doesn’t matter to these guys. They have an agenda to protect. Yes, but our computer models show that big oil is supporting the anti-global warming people. When people or organizations live by secrecy, lies, coverups, intimidation and underhandedness, they righteously assume everyone else does the same thing. Accusations that the skeptical side of AGW is well funded come from those that actually are well funded. Accusations that the skeptical side of AGW uses those funds to spread disinformation come from those that actually use their funding to spread disinformation. When you live in a world of criminal activity, you assume everyone is a criminal. Those authors should stick with what they have proven talent at doing: Fibbing about cliamte science. Their attempt at science fiction fails. “the scientists who best understood the problem were hamstrung by their own cultural practices, which demanded an excessively stringent standard for accepting claims of any kind–even those involving imminent threats.” Excessively stringent? And here I thought science was all about qustionning, replicating experiments and theorizing. Boy did I ever get that wrong. I would like to go back and tell my University science profs they taught me the wrong things. I should never have received my BSc. David Suzuki said in Winnipeg, Manitoba a year or two ago, that all geologists who disagreed with him on CAGW were paid shills of Big Oil. I’ve wondered if a class action defamation suit could be toss his way, to make him show his evidence. I’d like to see it: if true, it reveals a cross-national conspiracy to subvert the legal and political systems, an event of world importance in any century. And if true, since I am one of the above, I’d like to have the police launch an investigation into who is getting MY money. 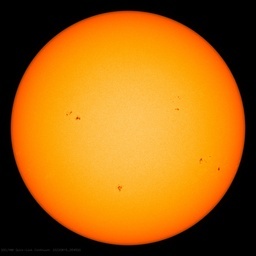 Repeating my comment at Bish’s blog: Stay tuned, friends, I have been blessed with an opportunity to be busy very soon (à la Donna Laframboise) when it comes to dissecting the accusation that skeptics are fossil fuel industry shills. Not only is there no evidence to support the accusation, the accusation itself falls apart under hard scrutiny from every angle you look at. The accusation is plagued with irreconcilable narratives, one person’s claims are inexplicably contradicted by another’s, the people associated with the accusation gather in rather small circles, and the main premise of the accusation stems from one central place and time, consolidated out of a narrative that was getting nowhere from ’91 to ’95-ish. I briefly touched on that in a February guest post at Tallbloke’s blog ( http://tallbloke.wordpress.com/2013/02/25/russell-cook-al-gore-arguing-for-censorship-in-1992/ ), but I will go into FAR greater depth on that next month. So far, I’ve been pointing out this massive problem in various guest posts at WUWT and elsewhere, but for the moment, let’s just say my new outlet will allow me to lay out the entire problem in more of a continuous forensic-like manner. Far from Big Oil and Big Coal supporting the skeptics, they’ve actually been supporting the AGWers through, inter alia, their pushing for cap-and-trade. BP and Shell have been the biggest contributors to the hoax, because they (and Enron, which initiated the cap-and-trade concept) expected to make money from it – in effect by raising the cost of energy to consumers and then skimming off the excess. Paul Driessen’s book, “Eco-Imperialism: Green Power, Black Death,” and Deneen Borelli’s book “Blacklash” describe this in detail, pointing out the crony capitalism behind it (Obama’s good billionaire buddies George Soros, Jeff Immelt and Warren Buffett). These people are pushing for policies that will cause fossil fuel energy prices to be raised high enough to make the otherwise uneconomic wind and solar power that they have sunk so much money into profitable. In the meantime they boast of how Denmark is on track to get 50% of its electricity from wind. Of course there is no way that any country can get 50% of its power from a source that is only operable 20% of the time, at best. The Danish people are being sold a bill of goods by some accomplished liars in their government. And here in California our electric rates are already double the national average because of “renewable” mandates. And don’t forget wind’s four dirty little secrets: millions of dead birds and bats, habitat disruption (15,000 times as much land required to produce the same juice as a 500-megawatt fossil fuel power plant, not to mention the despoiled landscapes), the inefficient types of fossil fuel generation that must be used to “firm” the power when the wind stops, since more efficient types of generation cannot respond quickly enough to maintain the energy balance on the grid (resulting in a net increase, not decrease, in emissions) and some very nasty chemical pollution leaking from the machines as they run. Wind power is an environmental as well as an economic disaster. Wind power costs 40 cents a kilowatt-hour for a good reason: land cost, equipment cost, depreciation and maintenance. It is anything but free, and it will never compete with fossil fuel power unless the taxpayers subsidize most of the cost of it. And since the whole idea that fossil fuel burning is warming the globe is now so thoroughly proven to be bullfeces, it’s insane and mean-spirited to force these high costs on consumers, especially poor people who desperately need cheap energy. I find it disgusting and reprehensible that these fat cats are making money off the backs of poor people – especially when you consider that the majority of the world’s poor are people of color. Here you have Obama toadying to these white fat-cat racists – racists is indeed what they are, and yet Obama’s people don’t hesitate to use racial slurs to describe people like Ben Carson and Deneen Borelli. And as Ms. Borelli points out, it isn’t even in the interests of BP, Shell and GE shareholders, due to the effect on costs incurred by the companies whose executives sit on their boards – not only does it bring BP, Shell and GE into bad repute, it will ultimately cause them to lose business. It’s bad business, as well as a crime against humanity, what these people are doing. It’s market manipulation in the extreme, making Enron look like child’s play by comparison. I strongly recommend Paul Driessen’s and Deneen Borelli’s books to anyone interested in climate issues. Ms. Borelli’s book is mainly about leftwing racist attacks on black conservatives, but has many insights into the crony capitalism that is such a major support for AGW. And Mr. Driessen’s will leave you furious at the way environmentalists treat poor people in developing countries. Like so many other claims about AGW, this is not only not true, the opposite is true. It is the warmists who are corrupted by vastly more funding from questionable interests. How much of their funding comes from those interested in nuclear energy? How I miss his honestly and humor. 1. Some place some where has developed the means to generate most of its survival and growth energies from windmills and solar panels. 2. The current crop of forecasts are correct and we go on into a protracted cold spell. 3. The products of the protracted cold spell are (among others) airfoil icing on the windmill blades and snowcover on the solar panels. What will happen, do you think? Even if the nefarious Koch brothers were to deploy every last dime of their personal fortunes to the fight against anti carbon hysteria it would still amount to spitting in the ocean in comparison to the vast propaganda machine that has been promoting it for decades. Just the funds the U.S. government has deployed to the cause are well north of $100 BILLION. Other governments of most nations and at all levels, the UN, NGOs, corporations (including BIG OIL) and other entities have probably tripled to quadrupled that amount. Harder to precisely account for, but much more significant in terms of human perception, is the free in kind propaganda provided by any movie made in recent decades, as well as any piece of episodic television, news reports (print or electronic), “documentaries”, the pontificating of celebutards, etc. which have made CO2 into a problem that “needs” to be addressed in the minds of most of the population of the developed world, including many of those who are otherwise skeptical of the science and solutions offered. I have no idea how much income Anthony gets from running this blog, whatever it is it’s not enough, but I strongly suspect that, if he had invested similar hours and effort to what he has in this site behind the counter at the local MacDonald’s, he would be ahead of the game financially. I also suspect that if you had the interest paid on the WWF’s endowment for less than a week you could cover Anthony’s, and every other skeptical blogger on the planet’s total blog returns for the duration, with more than enough to cover the world’s biggest beerfest-pig roast parties at multiple sites across the globe. You could probably serve Champagne, cavier, truffles, lobster, and Wagyu steaks and still cover it. If I had a pound for every time I’ve seen someone commenting here saying that they’re not paid by Big Oil … I’d have nearly as much as if I were paid by Big Oil. Well, conspirancy theorists and projection. Each and every aspect of the global warming dogma is based on half truth, a bit of truth, unproven assumptions, appeal to emotion, saving the world meme. Would not be such a headache if it would not have so much collateral damage to the society that these clowns accept so nonchalantly. Hey Dave, in that list of “free in kind propaganda” don’t forget textbooks. From elementary through university level the “CO2 is a pollutant” meme has infiltrated them all. I’m being paid by Big Oil. At my local Stop & Rob (gas or petrol station), I buy 6 cups of coffe and get the seventh cup free. Over a lifetime, that $.99/cup adds up, eh? Will someone call Exxon and tell them that this geologist’s monthly check is late? They must have forgotten that I am a shill. No, no, no. Nothing to do with the saintly capitalists. AGW is a Marxist plot to turn the world into North Korea. Haven’t you read the Reds-under-the-beds rants in the comment sections of sceptic blogs? Read it all and anything else from Dr. Sowell that you can find. This is one of the many lies repeated by the left wing folks. One of the many other big lies is that the big oil companies receive enormous subsidies from the government. Any time you ask for specifics “they” roll out tax rules that are enjoyed by every business or the fact that Clinton administration gave a reduction in Royalties to incentivize expensive off shore drilling in deep water.